This is the Sphere Books Ltd paperback edition of Talking God, the ninth book in Tony Hillerman's Navajo Mystery Series. The cover was designed by Lesley Howell. 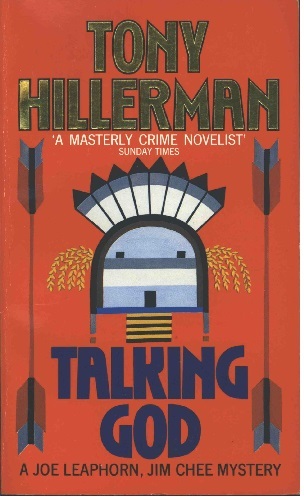 Unlike many Hillerman novels, a large portion of the book takes place in Washington DC rather than in the Southwest. This edition of Talking God is similar to another edition also published by Sphere Books Ltd. the same year and includes the same cover with a different ISBN number and different advertisements in the back.